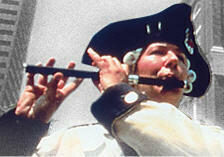 Take in the rich history of Boston on a 90 minute tour along the famous red line with an 18th Century Costumed Guide. Hear the tales of the brave Bostonians and Colonialists who dared to challenge Britain and helped establish the greatest democracy in the world. Enjoy the company of other Meetcha members along this informative and fun walk!